Iraq and the Kurdistan Regional Government (KRG) are clear examples of oil-dependent states and governments that recently got shaken by the current oil-price fall. Iraq is still struggling with the implications of the problem, but the KRG showed its dysfunctionality in the early months of the crisis. 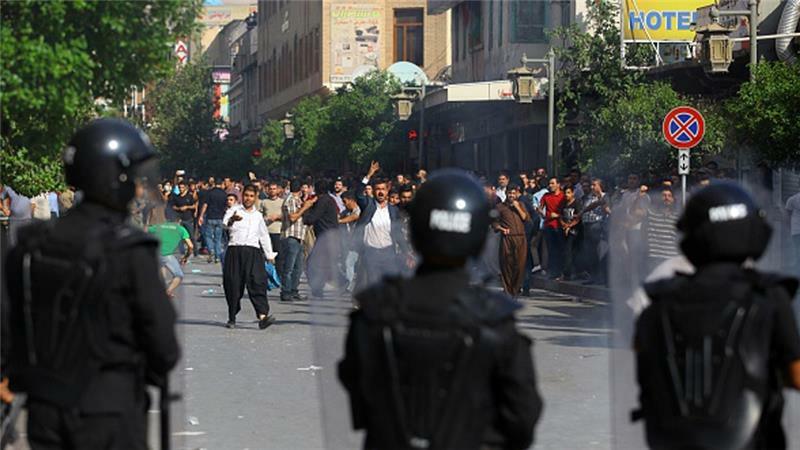 Driven by public sector employees’ protests, the region’s leaders started a “reform” project to reduce government expenditure, and they slashed the KRG’s payroll. However, this project does not associate with real political and structural economic reforms. It is more like short-run solutions to save the region’s ruling parties’ regime and political patronage. This poses serious questions about the effects of the reform project and the KRG’s leaders’ intentions behind this project. The “reform-project” could not rescue the KRG if it does not associate with appropriate structural economic and political reforms; especially stopping the corrupt political patronage that has fed the region’s ruling parties, Masud Barzani’s Kurdistan Democratic Party (KDP) and Jalal Talabani’s Patriotic Union of Kurdistan (PUK). The parties’ patron/client system has been the main reason to magnify the KRG’s public sector; about 1.2 million service sector employees for almost 4 million people. In the past 25 years, especially since 2003, the ruling parties have competed with each other to hire people based on their political loyalties. They have misused the KRG’s resources in favor of their leaders and mostly to buy people’s loyalties and consciousness. Now the same political leaders are trying to “reform” the KRG’s economy. The question is not how reliable these leaders are for this reform task. It is more about how they could implement their reform policy within this political frame; considering the fact that this patron system is still feeding their parties. Is it not too naïve to believe that this kind of leadership could head the KRG towards any meaningful reform? Here the KRG’s challenges start; the reform project cannot solve current economic and financial problems if the region does not undergo real political reform and economic restructuring. Corrupt failed leaders can’t implement reform-policies. They may save their regime and their parties’ client system, but it is difficult to diversify the KRG’s economic resources and help grow the private sector as they usually call for. Any reform policy needs political willingness, strong leadership, and appropriate active political institutions and forces to work on multiple fields simultaneously. A reform project can’t succeed only by financial decisions and in the absence of strong accountability. If the KRG’s leaders really want to reform their mess, they have to cut their parties’ hands in the region’s economy and decrease their monopoly in all fields. It is hard to implement a real reform project within this political climate. It does not make sense without transparency and appropriate accountability in government institutions. The project is supposed to be approved and watched by the Kurdistan Parliament, but ironically the “reformist” leaders closed down the parliament as a punishment for its questioning President Barzani’s legitimacy after his term became outdated. If Barzani’s military forces could stop the region’s parliament, they could also stop any policy that will not be in favor of their leaders.